NESU is full of stories, experiences and happy moments. We as the current board of NESU Finland decided that these stories should see the light to show also to new students what’s the meaning of NESU for each of us. I’m more than happy to kick off this series of blog posts to share my own story. We’ll continue the series with each one of us telling how we found NESU. It was the autumn of 2015 when I decided to apply for some position within my student association. I didn’t know a thing about NESU then but somehow the NESUits seemed like a nice bunch of people that I felt like I could get along with quite easily. I was chosen as the treasurer of NESU-Enklaavi’s committee 2016. That was a beginning of a wonderful adventure. When the year started, I gathered some courage to try out attending a sits party in some other city than my own. That turned out to be the point of no return – the trip to Turku is still one of my best memories. I got to know so many new people and many of those people are still my good friends. The experience was so good that within a month I decided to step out of my comfort zone and head to a sits party as the only representative from my city. I knew only a few people who were attending that specific sits party but it was only a good thing since I had to go talk to unknown persons. That has remained one of the best memories also. If I have to name my very best memory of NESU, it would definitely be my first NESU Conference in Oulu. It was the autumn of 2016 and when the week started, I knew nothing that would be coming up. Since then I have always wanted to attend the Conferences since the feeling of belonging together with all the participants is something that can’t be explained. Attending the first Conference sealed the way I was heading to. It led me to apply for the Head Organizer of NESU Autumn Conference 2017, to apply for the Chairman of the Board of NESU-Enklaavi and to work day after day to develop this organization. After all these experiences, I have now made my way to the Country Representative of NESU Finland. The ride has been fantastic so far and everyday I’m grateful for everything I have got from NESU. I have many good friends from all around Finland and the Nordics, some of who are among my best friends and I keep contact everyday. I have always said to everyone that NESU is for you what you make of it. 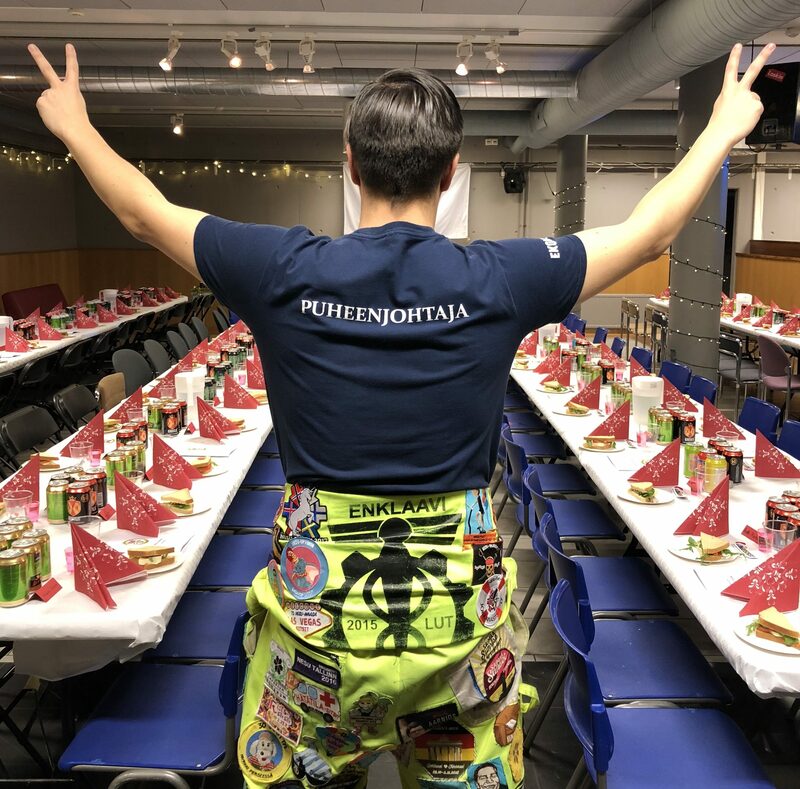 For me it has been lots of awesome moments with awesome people, belonging into a lovely community, working for events that other can enjoy and most of all, getting to know people from all around the Nordics. I just can’t describe the feeling you get when you go to a city far away from your hometown and people there are just so truly delighted to see you and come to hug you. If we say that your home is where your heart is, my home is everywhere I go. This was my story, and a lot more are coming. Stay tuned for more blog posts! If you would like to help us by sharing your own story about NESU, please contact us by sending a direct message to some of the board members or by sending email.